Hanoi (VNA) – The Prime Minister sent a dispatch to the Vietnam Fatherland Front, ministries and local People’s Committees requiring drastic measures to be taken to ensure traffic safety and order during the New Year, lunar New Year (Tet) festivals and the upcoming 12th National Party Congress. The PM requested the Transport Ministry to direct transport businesses to improve services quality, vehicles’ technical safety and intensify the online sale of tickets to facilitate the travel of people, and address hotspots of traffic accidents and congestions at key national highways. The Ministry of Public Security was asked to strengthen patrols and strictly punish traffic safety and order violations and reinforce its personnel to ensure security, social safety and order during the holidays and the Party Congress. The document required the Ministry of Information and Communications, the Vietnam Television, Radio the Voice of Vietnam, and the Vietnam News Agency to promote communications on traffic safety. 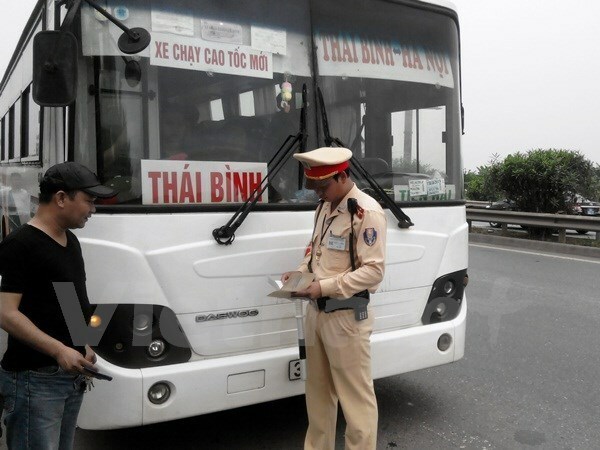 The National Committee on Traffic Safety was urged to announce a hotline on public means of communications to receive people’s opinions on this issue, while the Vietnam Fatherland Front was required to make more efforts to encourage people to obey transport law. To guarantee absolute safety for people during New Year holidays and the Party Congress, the Ministry of Public Security also asked its units to launch a raid on criminals from now until February 15. It also asked for strengthened efforts to prevent goods smuggling, trade frauds and counterfeits, and to timely detect and address acts that violate laws on the environment, natural resources, and food safety and hygiene.